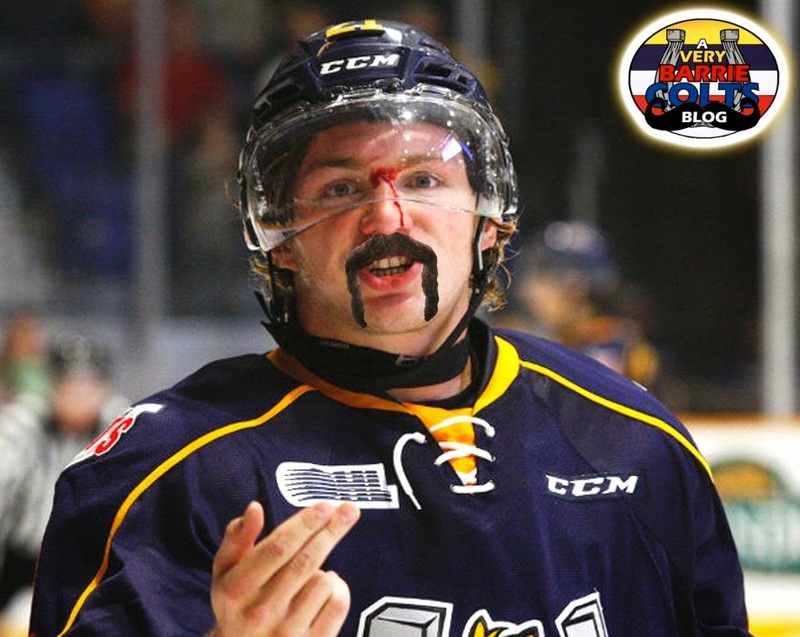 #Movember @OHLBarrieColts with sick mustaches! 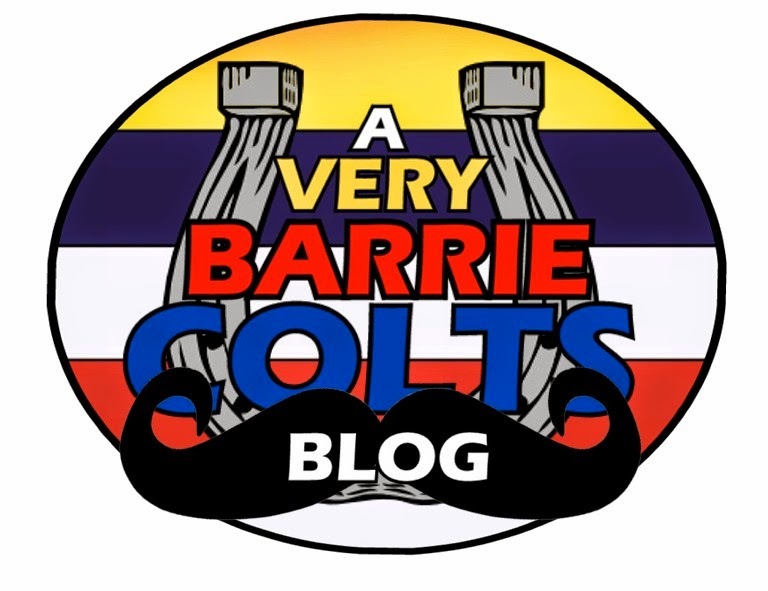 #OHL @blemieux22 @_themagicbullet (1 of 4) - Very Barrie Colts | A website covering the Barrie Colts of the OHL. November is also known as Movember. November has been chosen as the month for people to help raise awareness and money for men's health. Mostly the fight against prostate cancer, testicular cancer and men's mental health. For more information on Movember and how you can help by donating go to movember.com. 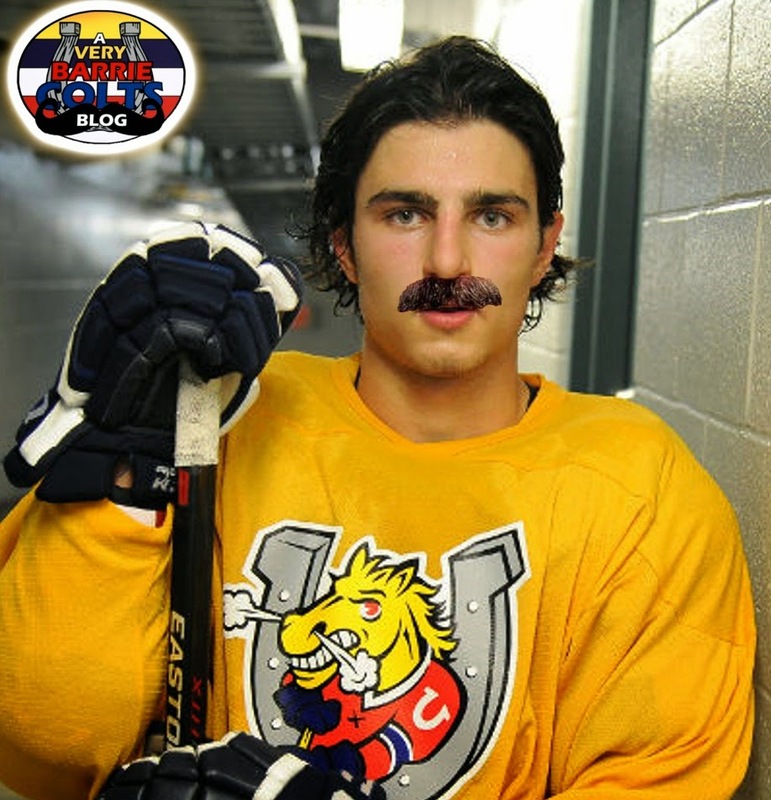 On that note, we here at A Very Barrie Colts blog have wondered what Barrie Colts might look like with cool mustaches! Though, we are not sure how many of the players on the roster could grow mustaches in time for us to post so we decided we would help speed up the process. Each week, we will post 2 players and will add a mustache along with the style we chose for them. If you have suggested players you would like to see next week, please don't hesitate to let us know in the comment section as well as the facial hair you wanna see! The posts will go up on Wednesdays. The Horseshoe mustache (also known as the Biker Mustache) is a full mustache that also grows alongside the corners of the mouth. It looks like a U or a horseshoe upside down. This style of mustache is used on many "manly" characters and personalities so we figured what better player for this than the rough and tough Brendan Lemieux. Plus, doesn't he look incredible? Some people who are known for rocking this style are WWE/Wrrestling icon Hulk Hogan, Metallica frontman James Hetfield also has rocked one from time to time through his career. Also, NFL legend Joe Namath as well as Glenn Hughes of the Village people. Our second player this week was Joseph Blandisi. For the top scoring Colt we needed something that was not only cool and classical but something that wasn't too over the top. We chose the Chevron. The Chevron is just a simple mustache. Similar to the horseshoe but without the hair growing alongside the mouth. Be honest, Blandisi has never looked cooler, right? Remember to let us know who you want to see next Wednesday in the comments section, on our Facebook page or on Twitter!